The Art Room, a UK charity working with children to increase their self- esteem, self-confidence and independence through art, will be holding an exhibition at Wester Hailes library from Friday 12 February – Thursday 25 February 2016. 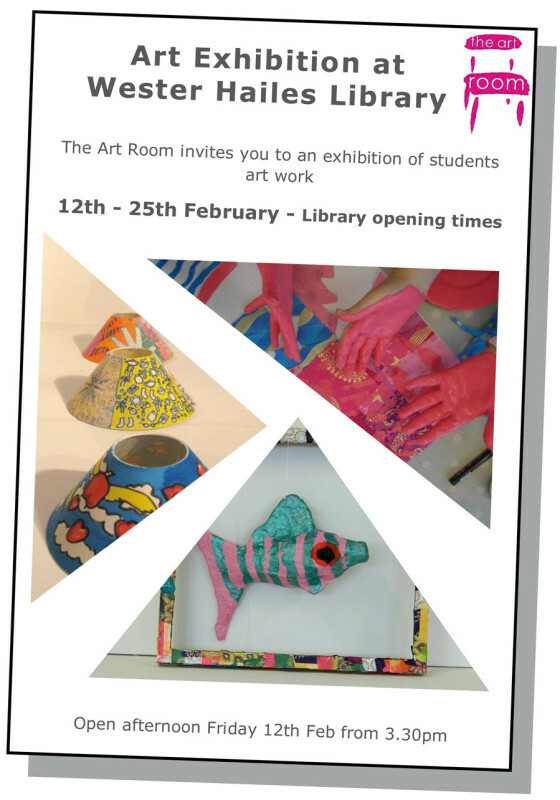 The exhibition will show artworks created by the young people at the Wester Hailes Education Centre Art Room and will open at 3.30pm on Friday 12 February 2016. The Wester Hailes Education Centre Art Room was the first in Scotland and opened in June 2014. The Art Room provides therapeutic intervention for young people in the Wester Hailes Community, who work in small group sessions with Art Room trained Senior Practitioners.